IIA commissioned a national survey in response to the FCC’s specific questions on how consumers use the internet. The survey, performed by nonpartisan polling and market intelligence company CivicScience, shows how Americans interact and use the internet, and reaffirms the FCC’s assumptions that broadband is, by definition, an information service. Rolled out on August 30 via a press teleconference hosted by former Congressman Rick Boucher, IIA Honorary Chair, the report explores consumers’ common internet activities. Its results make clear that broadband access fits squarely within the definition of an information service. The full report is available on the IIA site. 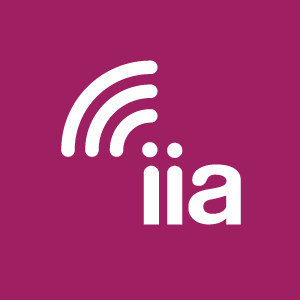 Multichannel News, “IIA Survey Says: Public Uses Internet as Information Service,” August 30. See also Broadcasting & Cable, “IIA Survey Says: Public Uses ‘Net as Information Service,” August 30. Communications Daily, “IA Warns of Court Challenge to Revised Net Neutrality Rules as House Hearing Delayed,” August 31 (subscription only). FierceTelecom, “AT&T says Title II advocates’ blocking, throttling allegations are unconvincing,” August 31. Goldstein Report, “Internet Behaviors and Attitudes Project,” August 31. TR Daily, “‘RESTORING INTERNET FREEDOM’ REPLIES CITE PAI COMMENTS, CHARLOTTESVILLE, SURVEY RESULTS,” September 1 (subscription only). Washington Watch, “Open Internet Replies Filed on Restoring Internet Freedom NPRM,” September 1. On August 30, the Internet Innovation Alliance (IIA) filed reply comments in the Federal Communications Commission’s (FCC) Restoring Internet Freedom proceeding. IIA’s pleading supports the agency’s proposal to reinstate the “information service” classification of broadband service and return to the bi-partisan, light-touch regulatory framework that propelled exponential internet growth for nearly two decades. In its reply comments, IIA attached the results of the above-mentioned national survey to directly respond to the FCC’s specific questions on how consumers use the internet. The survey, performed by nonpartisan polling and market intelligence company CivicScience, shows how Americans interact and use the internet, and reaffirms the FCC’s assumptions that broadband is, by definition, an information service. For more information or to review IIA’s comments in full, please visit our website. In the piece, Mehlman says that the monopoly-style regulation of broadband – imported from the days of rotary phones by former FCC Chairman Tom Wheeler – is both unneeded to ensure an open internet and highly inappropriate in today’s competitive, innovative broadband marketplace. Additionally, returning to the longstanding, light-touch regulatory framework for the internet will offer many benefits to American consumers by encouraging investment in broadband networks. Then, he argues, Congress should develop and pass bipartisan legislation that ensures the open internet, protects consumers and maintains investment in the nation’s high-speed broadband networks. In a recent op-ed for Forbes, Boucher says it’s important to ensure that one aspect of the Federal Communications Commission’s Restoring Internet Freedom rulemaking not be overlooked: its huge impact on rural America. The best way to ensure that all corners of the country get the connectivity they need, he says, is for the FCC to restore the classification of broadband as an information service. Thereafter, Congress should enact legislation that codifies open internet rules, he urges. Read the full Forbes op-ed here. Larry Greenemeier, tech editor for the Scientific American, recently spoke with Boucher about the impact of Title II regulation on broadband deployment and potential solutions for the digital divide in rural America. The Q&A investigates how Congress and electric power lines could break the federal government’s net neutrality deadlock. Read the discussion at Scientific American here.